Irish contemporary folk singer and songwriter Grainne Hunt is from Monaghan. 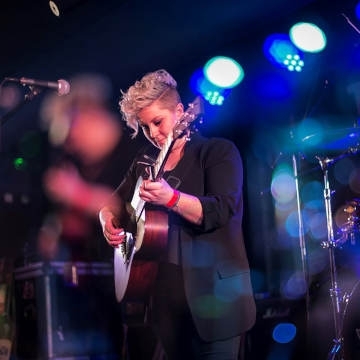 With consistently on-point, captivating vocals and well-honed, insightful songs, Grainne has shared stages with Glen Hansard and Mark Geary and has been compared to vocal icons Tracy Chapman and Nathalie Merchant. Early 2019 will also see the release of an Irish folk album, Songs from Ireland, recorded with award winning guitarist Brendan Walsh. Recorded earlier this year in Soundville Studios Luzern, including songs Buachaill on Eirne and Raglan Road.